In a recently-published article, we shared a handful of practical remodeling tips, all geared to add maximum value and marketability to your home. Did you miss it? You can check it out right here. 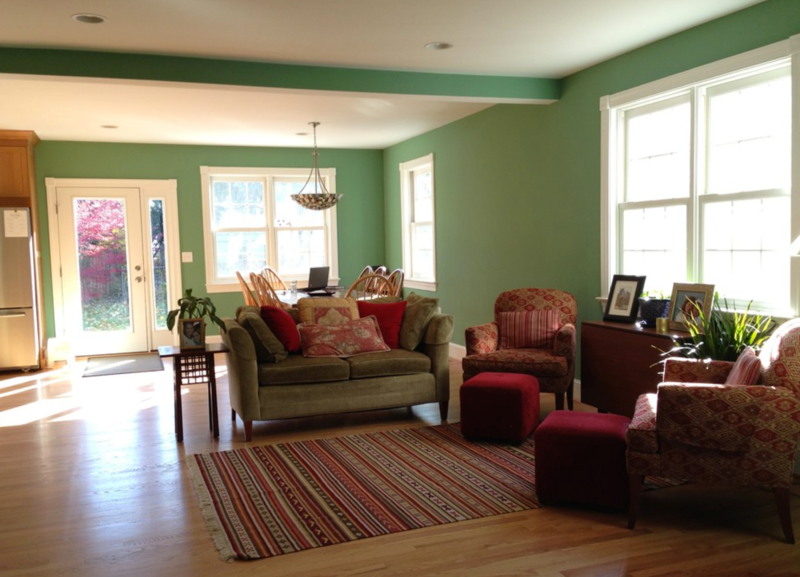 Today, we want to focus on an even simpler way to boost your home’s appeal and tangible value: interior painting. Make Your Interior Paint a Real Selling Point: Here’s How! There is a world of difference between slathering paint on a wall and the work of a true professional with the right tools, experience, and skills. It’s a little like cutting hair: do you trust your friend to create your new style, or do you go see your favorite stylist/barber? This is the key ingredient in a successful painting process, but many homeowners skip it during DIY projects. Cleaning, repairs, patching, priming... they’re all essential. 3) Need to Repaint? Go Neutral! It’s important that a prospective buyer can envision themselves living in your home. This makes clean, fresh, lighter neutral paint an ideal option, creating the feeling of being a blank canvas. 4) Is Your Paint in Good Condition? Don’t Go Neutral! Here’s an interesting twist on our point above: if your existing paint is in good condition but is a little brighter and bolder, reflecting your taste, you can consider leaving it as it is. Prospective buyers enjoy seeing a home that has been loved, cared for, and personalized. But if your paint is tired or dated, by all means consider an update! Real estate experts agree that bathrooms and kitchens are two of the highest-value spaces you can paint, so we suggest allocating your improvement dollars to these rooms first. High-value spaces can also be any rooms that are more dated or in poorer condition than another, helping you to naturally prioritize your improvements. Did You Know That Color Can Add Tangible Value? Sure, it stands to reason that fresh paint adds appeal, but how about tangible value? Research completed by real estate website zillow.com showed that homes with bathrooms painted blue often sold for $5400 more than expected. Interesting, isn’t it? And, those with typically less appealing colors routinely sold for less than expected. Be sure to read the full article on MarketWatch right here. Our major takeaway is that it’s important to consider the positive impact that even relatively small improvements can have on your home. These improvements add value to your daily quality of life and pride of ownership, and a surprising boost to your home’s dollar-and-cents value too. If you have any home improvement, remodeling, or painting questions here in the DC area, we encourage you to contact us as Stohlman & Kilner Remodeling Contractors. It would be our pleasure to serve you!